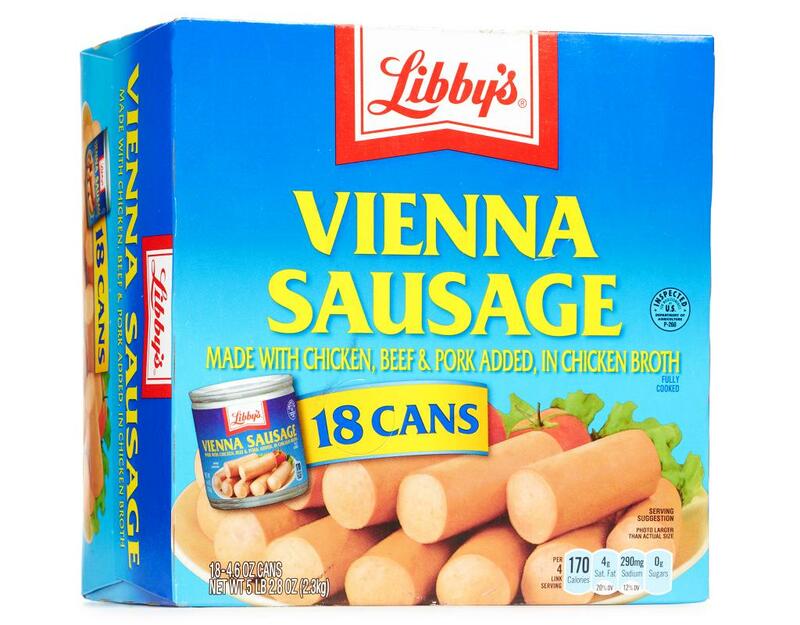 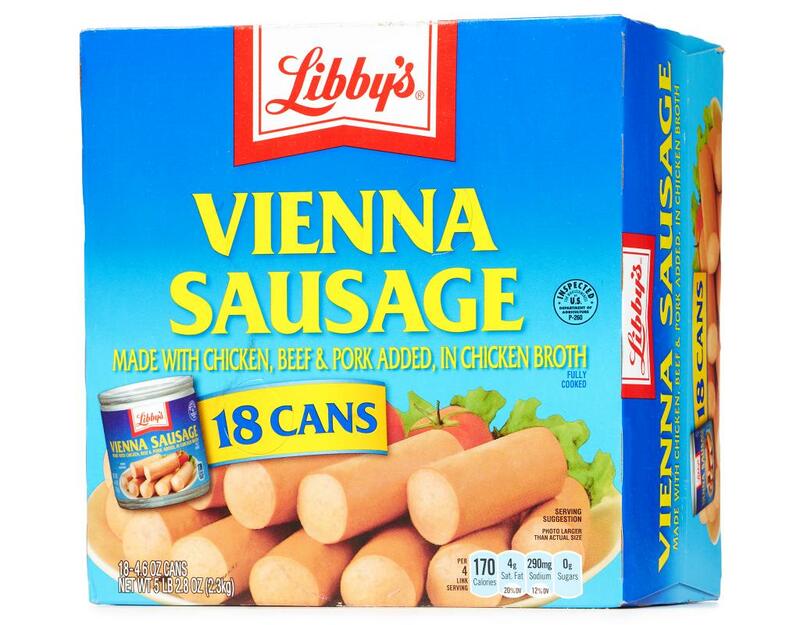 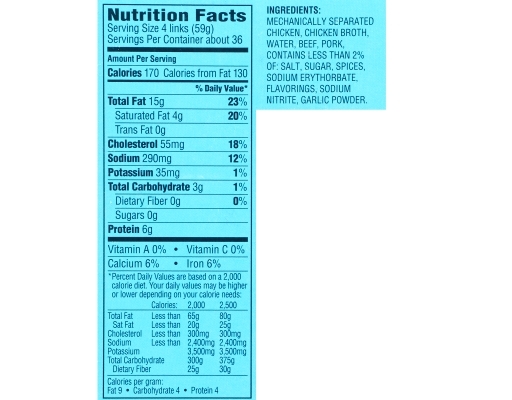 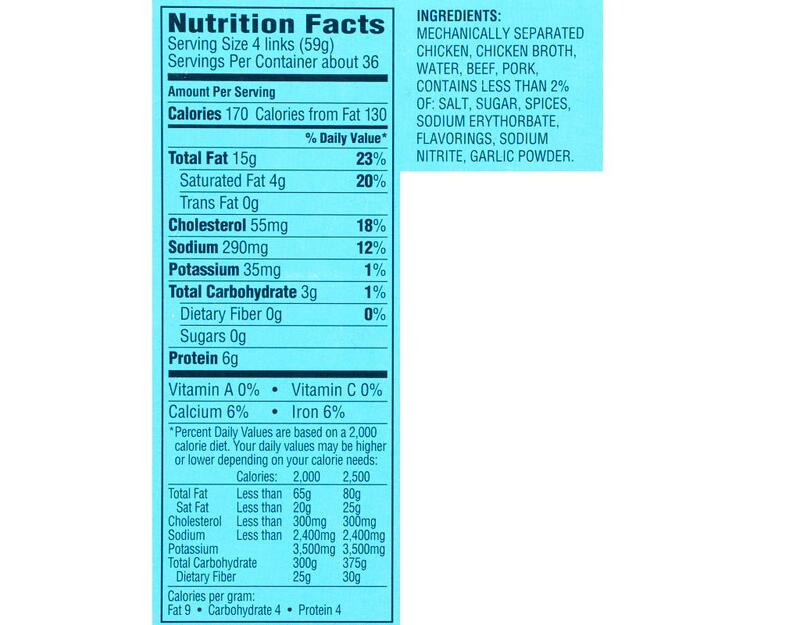 Libby's Vienna Sausage is made with chicken, beef & pork added, in chicken broth. 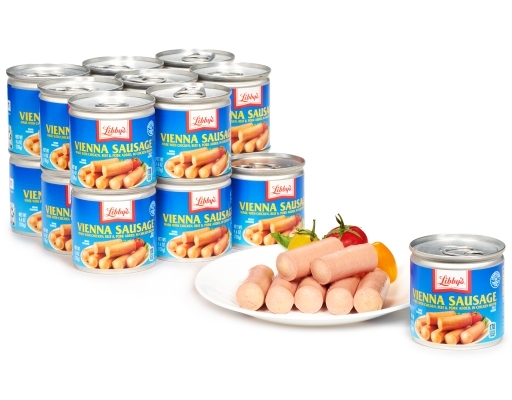 Plump, tasty and delicately seasoned Vienna sausages are fully-cooked and ready-to-eat. 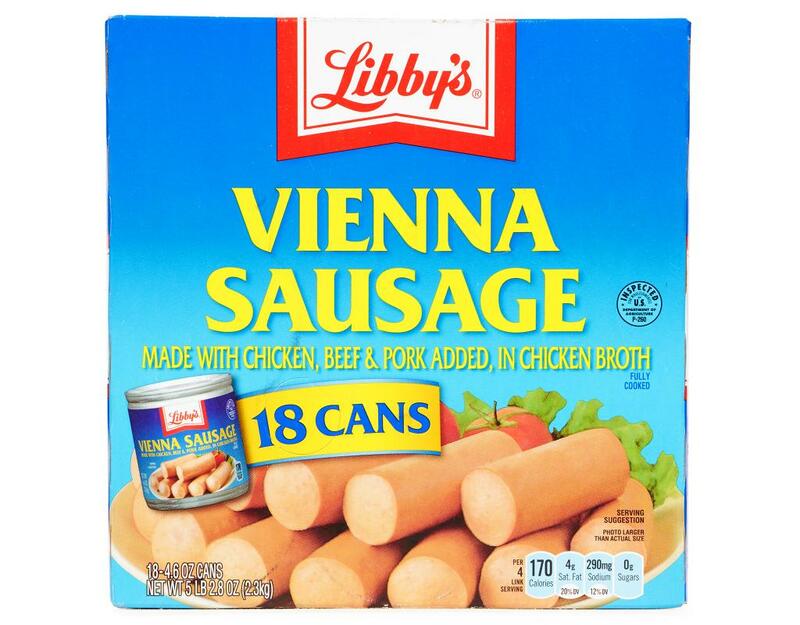 However you use them, your family will enjoy the quality taste that comes in every can of Libby's. 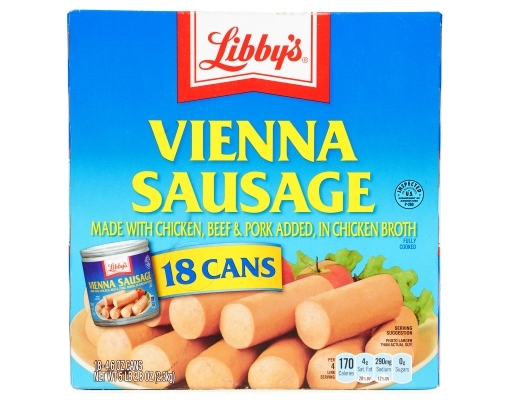 Can be eaten chilled, heated, or right out of the can, with easy to open lid. 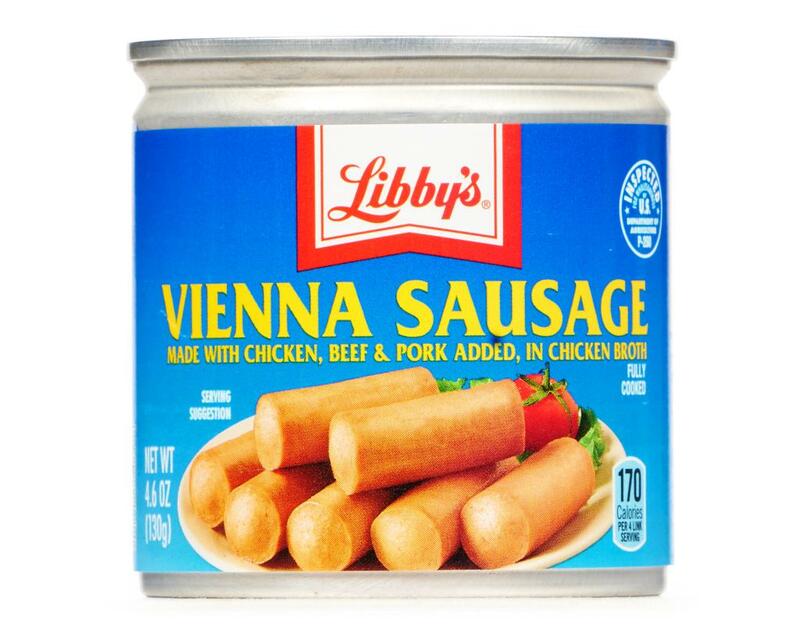 Libby's foods, in the 4.6 oz. cans make great snacks, entrèes and ingredients for your favorite recipes.